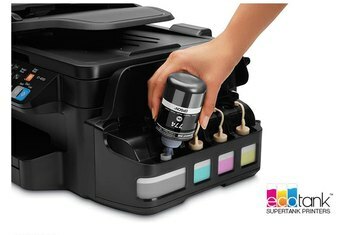 The Workforce ET-4550 prints decent quality output at greatly reduced ink costs by using large refillable ink tanks. 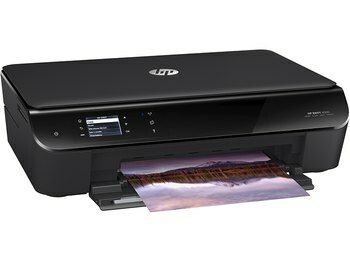 It ships with enough ink to print 11,000 black and white or 8,500 color pages. 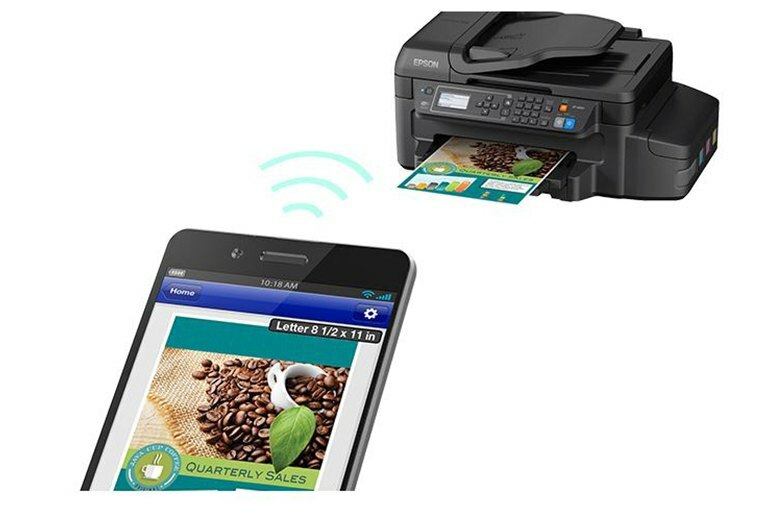 The printer connects with Ethernet, Wi-Fi, or Wi-Fi Direct, and it has an automatic document feeder. The small paper capacity suggests home and small office use only. The printer has a lengthy setup and slow printing speed. It takes up a lot of desktop space. Epson has broken the cartridge money-making scheme that inkjet makers have followed for years. 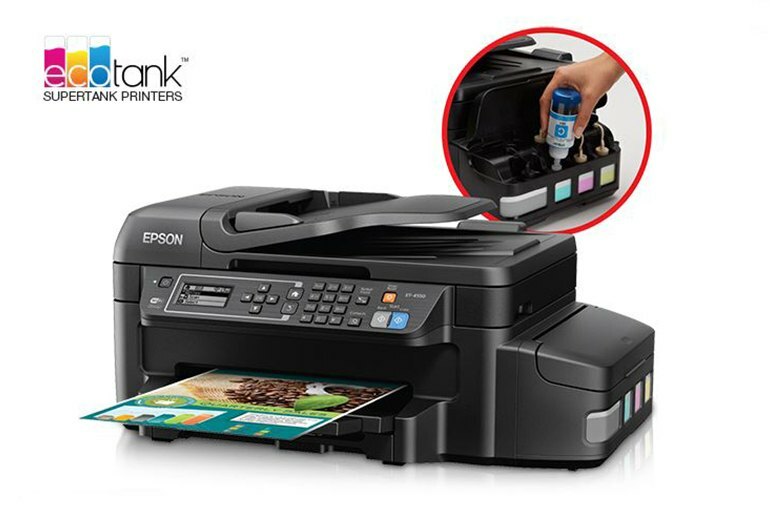 The Epson WorkForce ET-4550 network inkjet printer is essentially the much less expensive WF-2650 with the EcoTank ink system tacked on. 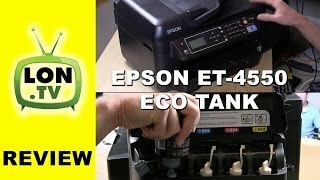 If your main concern is keeping volume printing costs down, the Epson ET-4550 promises two years of ink right out of the box. 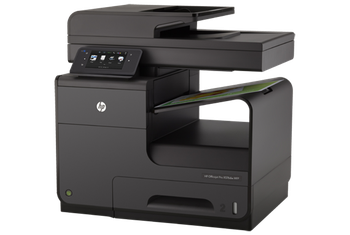 With decent print quality and fax, copy, and scan capabilities, it’s a good basic office machine, with ink that lasts (almost) forever. You’ll need to do the math to see if the printer price justifies not buying cartridges. 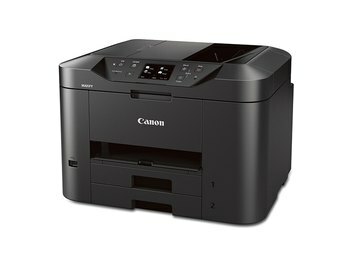 ...the ET-4550 is your typical entry-level printer, complete with features you'd find on a typical beginner's WorkForce AIO. 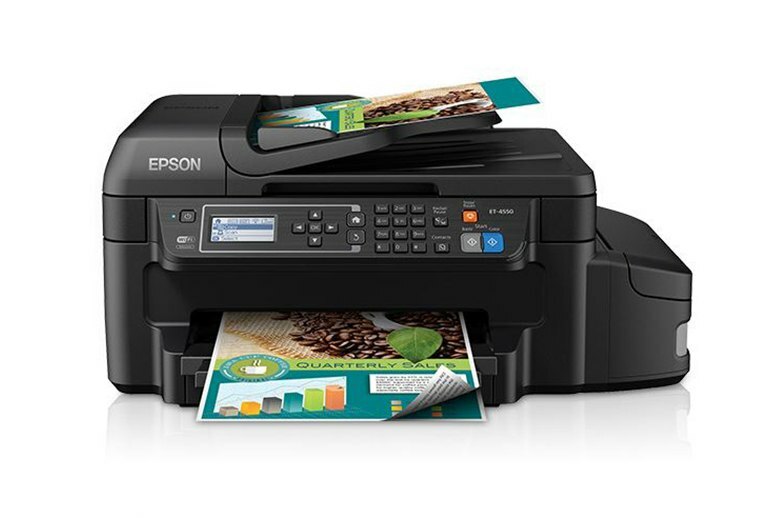 For those who print enough for the ET-4550's low ink cost to matter, it can be a good fit for personal or light-duty shared use, with its total cost of ownership making it a highly attractive choice. If your main concern is keeping costs down, the ET-4550 might be the ideal printer for you. But if you have any other needs, you're better off looking elsewhere. 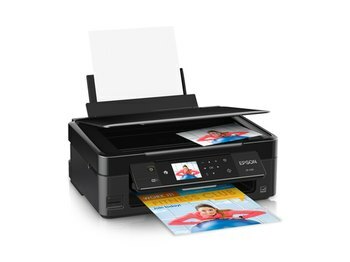 Epson has figured out a way to get you to pay more than $300 for a printer again: a two-year supply of printer ink, built-in. The printers cost significantly more than non-EcoTank models, but the inks not only last longer, they are less expensive to replace.